I have been to Airlie once before but it was under totally different circumstances. 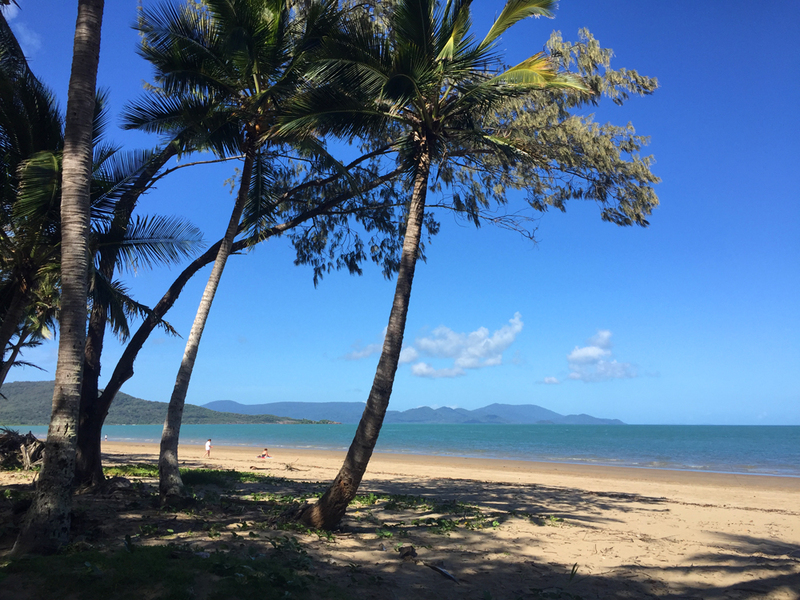 Quite a number of years ago I came up here with my daughter Rachel where we had a great Mother/Daughter 10 days in Airlie Beach and Long Island which is one of the Whitsunday Islands. Things have changed since then but it is still a great place to visit. The caravan park we are staying at is out of town a bit so we are out of the hustle and bustle. The only problem is there are midges or sandflies here and they like to eat me. We have been doing a bit is sightseeing as there are so many beautiful beaches. One day we headed into Proserpine as Shane was there back when he was at school and wanted to see it again. Proserpine is surrounded by sugar cane fields and I would say this is its main industry. 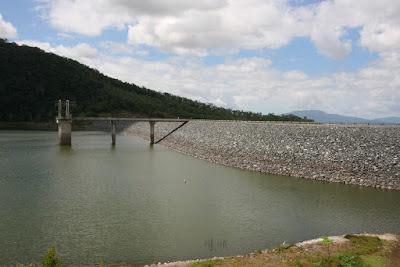 After driving around and stopping off at the local bakery, which had been recommended, we drove out to Lake Proserpine and the Peter Faust Dam. 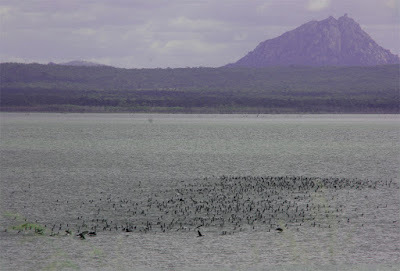 Lake Proserpine is stocked regularly with Barramundi fingerling and is renowned for its one metre Barra, but of course we didn't have our fishing gear with us. Looking out in the water we could see lots of black marks. On the way back to Airlie Beach we stopped off to have a look at Conway Beach and Cedar Creek Falls. Conway Beach was a pretty location although the beach had a lot of weed along it from the incoming tides. Cedar Creek Falls weren't flowing very much due the this area not having much rainfall lately. 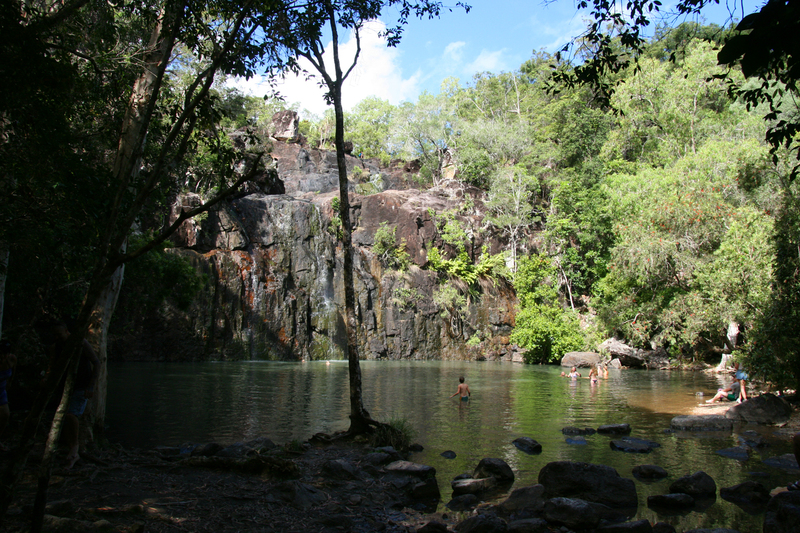 But the swimming hole at the base of the falls was a delightful little swimming area. As its school holidays there were quite a few families taking advantage of the water. 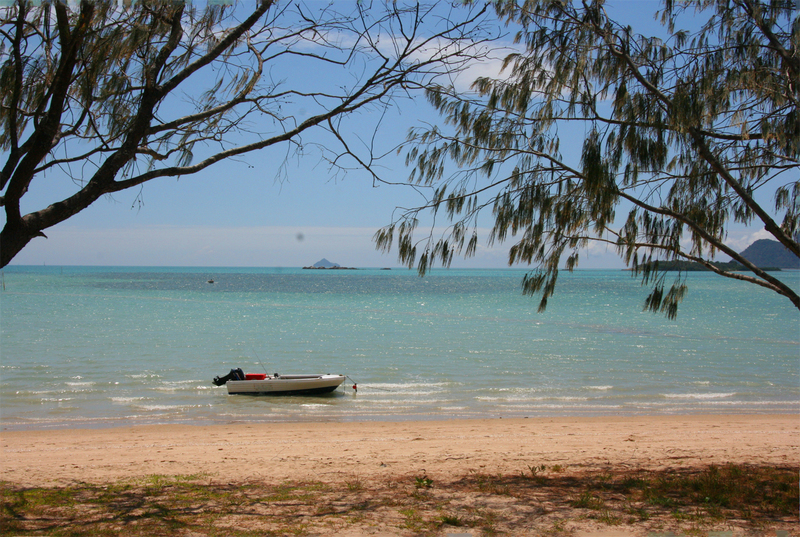 Another beach we have driven out to see is Dingo Beach which turned out to be a beautiful beach. As stinging jelly fish (stingers) are a problem when the water gets warm the beach had an enclosed netted area for people to swim in. Talking to the guy in the local cafe, he said that they rarely get stingers here. He also said, "we don't have any crocodiles because the Sharks have eaten then or maybe we don't have sharks because the crocs have eaten them". So between the stingers, crocs and sharks I'm certainly not going for a swim. But I did walk down and put my feet in the water and it was the warmest beach water I have ever felt. Does that mean there could be stingers - oh well I'm not testing out that theory.